I am infamous among my coworkers for getting just as upset as I am excited to see Halloween decorations going up. 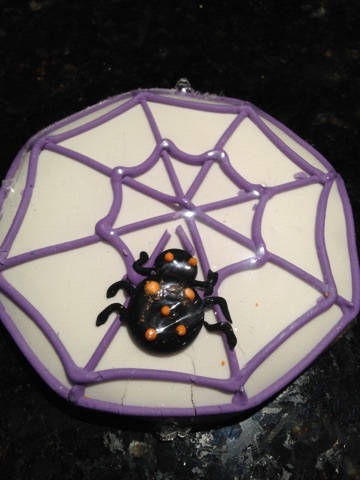 I adore Halloween, but I also love spiders, and this is where my conflict lies. 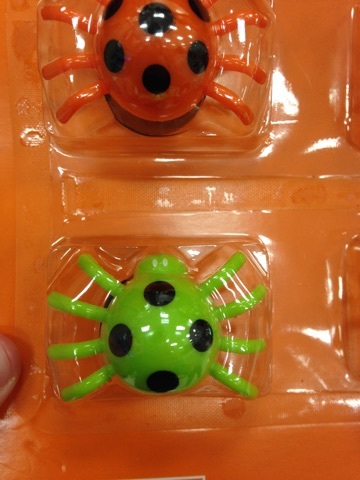 Halloween does not love spiders. 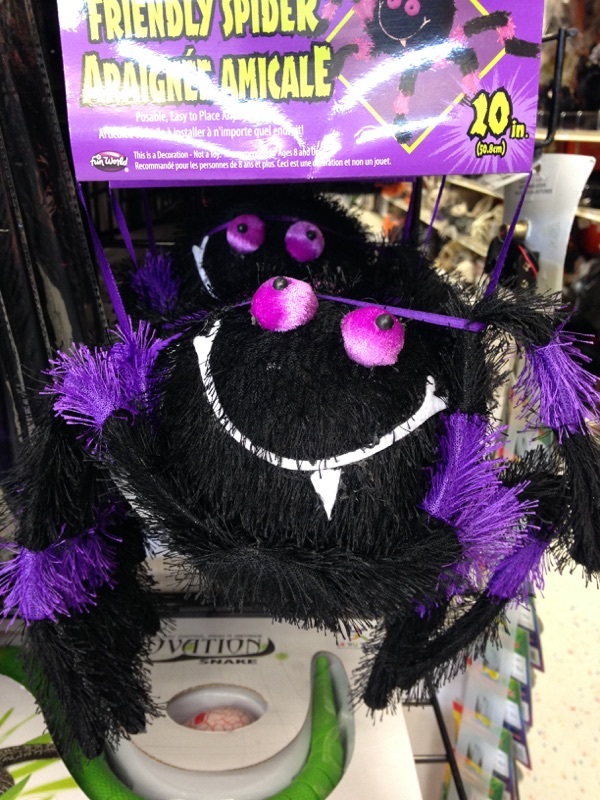 I have used my own tarantula so you can compare real treat to the tricks sitting on the shelves. Let’s go over some spider basics so you too can feel my pain. 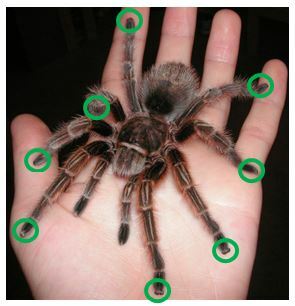 Pay attention to the pedipalps and chelicerae; you may not see them again. Pedipalps are for mating and holding food, and chelicerae house the venom and end in fangs, so these are important body parts. Going without these four appendages is like missing your arms, jaws and teeth. First off, spiders have eight legs. Count the green circles. Only those are legs. Everything else, not legs. So basically, I ate this cookie to remove this abomination from the world. Secondly, they have two body segments — not one, not three. The legs are also attached to the front segment, not the back! 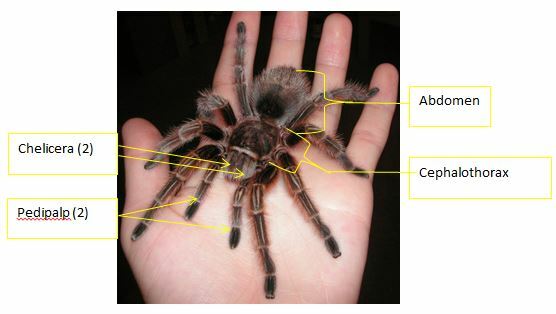 The front is the cephalothorax, meaning “head thorax” and the back is the abdomen. Attaching the legs to the back is the same as having a leg growing out of your stomach. I’m going to assume that these were not meant to be spiders with three segments, but rather very clever spider-mimicking ants. If you can have ant mimicking spiders, then surely it must work the other way around. These look like ladybugs hitching rides on top of spiders. And come on, people. Even dogs have standards. This chew toy is sub-par. Lastly, have you ever tried your hardest and just barely missed your goal? 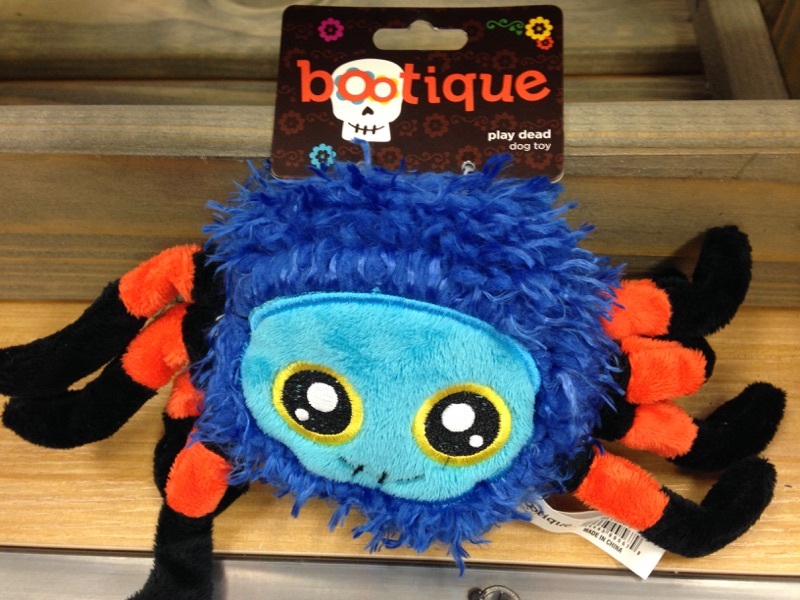 I feel like this next spider embodies that moment. He has the correct number of legs, segments, pedipalps, chelicerae, and they’re all attached in the right places! 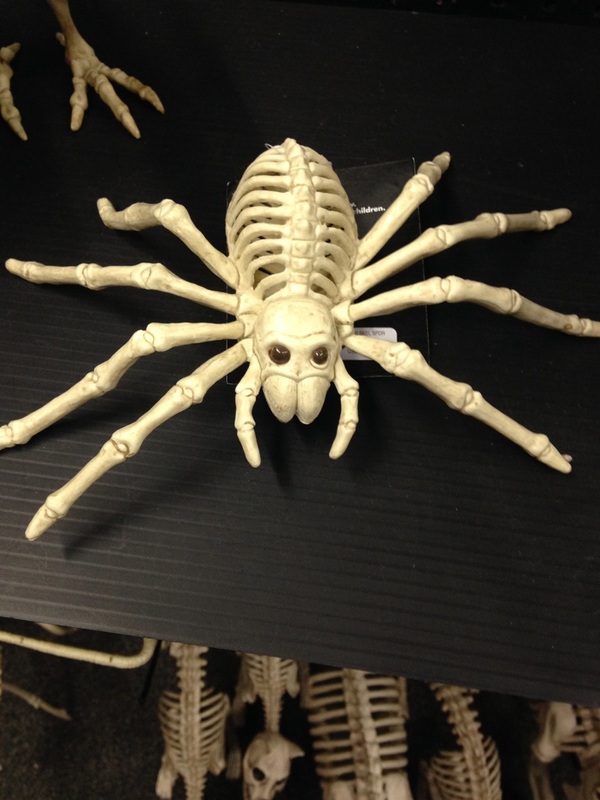 However, SPIDERS DO NOT HAVE BONES! Editor’s Note: Melissa Hudnall is a Programs Facilitator for the Youth Education department at the Houston Museum of Natural Science. Previous Post Come to Energy Day for a fun look into the future (and for funnel cake)! Next Post Thank an archaeologist for human history on International Archaeology Day!